Meanderings: Have you ever had one of those days where you are too tired to pray out loud? Those happen often to me and I end up praying silently, sometimes jumping around from subject to subject. My prayers can be kind of staccato – often like little arrows shot up to heaven hither and thither. Strange paths: She went on to ask me where I bought them, who made them etc. – like I can’t remember what I had for breakfast, how can I remember that? I paused to answer her question and look at the logo on the heel of a boot to tell her, and told her she can probably google them to buy on line. I though that was the end of the conversation and went on to exit the sanctuary. She grabbed my arm and asked me, “Are you new to this church?” “No,” I answered, “I just don’t usually come to this service.” She smiled and continued to walk with me and said, “I am wondering, how can I be praying for you?” I was taken aback at this, at first sort of thinking, “What’s it to you?” But then I was flattered that she would ask. I told her one thing – no details – just a topic. It is something that I pray about often -in fact the very thing that I was talking to God about earlier before the service. She pulled me aside (I wasn’t expecting that) and captured both my hands in hers and started praying over my request – but here is the peculiar thing…she hit every touch point in my wish list for that issue. It was like she was reading my thoughts. There was not ONE thing that she missed that I carry in my heart and pray over in this circumstance. That tiny woman prayed big prayers over me for about 5 minutes, out loud, standing there in the church lobby. I found myself uncomfortable, disturbed and thankful all at the same time. “How could she know?” I was screaming to myself silently. I left her shortly afterward, feeling like I had been bowled over. That had never happened to me before. Yes, God. I know you do. 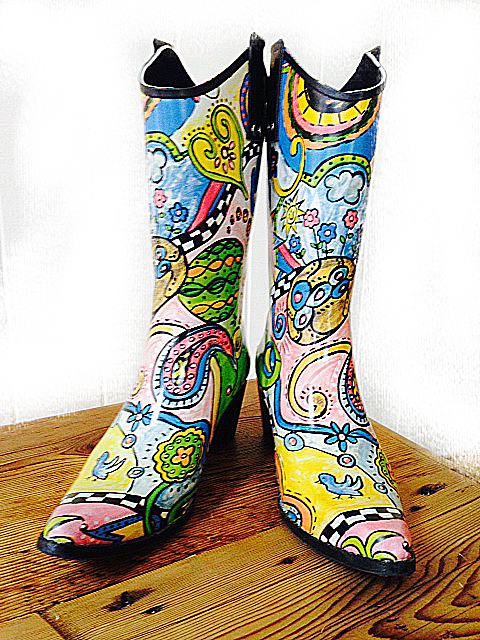 Now one more question….do you like my boots? Thanks for the comment! I visited your site, I think you are a wonderful and creative photographer! You go girl!